Those of us with sight take it for granted that we can easily experience visual art, from ancient to new media, and every style and medium in between. But what about those with various levels of visual impairment, who may have been born fully blind or missed their chance at visiting The Louvre or the Metropolitan Museum of Art in New York City when they had fully functioning eyesight? Marc Dillon, an open source enthusiast and software programmer from Helsinki, Finland, thinks he’s found a way around the problem with Unseen Art. Dillon describes the project, which is currently raising funds on Indiegogo, as 3D-printed art for the visually impaired and blind. But Unseen Art is much bigger than a simple startup. Dillon, who is Unseen Art’s program manager and evangelist, sees it as a global open source program where various artists and other creatives can volunteer to 3D model classical paintings like a Vincent Van Gogh self portrait, or even Michelangelo’s statue of David. These 3D-printed classical works will then both touched and felt by the visually impaired, both in exhibitions and in people’s homes. Dillon recently spoke to us about the Unseen Art project, explaining how his team hit upon the idea, and why he’s making the 3D-printed artworks open source. Before launching this project, did you have discussions with the visually impaired and blind about how they experience and interact with art, and what did you learn from them? Marc Dillon: We learned that many people have heard of great works of art their whole lives but not been able to experience them for themselves, and that we could change that. We learned that many visually impaired people are excited by and touched by art, and are happy to be able to create their own impressions of art. You write on your Indiegogo campaign page that “creating equal access for art globally is our passion and goal". Is this mission statement strictly focused on people with vision disabilities, or can it be extended to include anyone, really? Marc Dillon: Although we are starting with blind and visually impaired people, we also understand that we can reach out to more (people). Anyone can touch art that few in the world ever have and experience it differently than they would just by seeing. In addition, many "dark" events are popular around the world such as eating in the dark, comedy in the dark, and music in the dark. We could force a dark exhibition where people could experience the art in a safe but dark room and form different impressions than they would any other way. Had you worked with 3D printers before Unseen Art? Marc Dillon: In my years working for Nokia (mobiles), it was frequent to work with the 3D department, but in a different capacity: it was about using computer-controlled machinery to carve out prototypes from plastic and metal, and tools and fixtures bore the marks of the milling cutters and other equipment used to build them. 3D printing has changed the ability to make very complicated items of good quality in the home; for example, the “Funky TOH project” where 3D printed QWERTY keyboards are manufactured in the bedroom of an enterprising university student. After identifying a market he was able to create a design and produce a product thanks to 3D printing. Can you explain the process of how classical art paintings are input into a 3D modeling software and then 3D-printed? What type of material is extruded by the 3D printer? Marc Dillon: We are crowdsourcing 3D artists to donate time to recreate classical paintings in 3D. 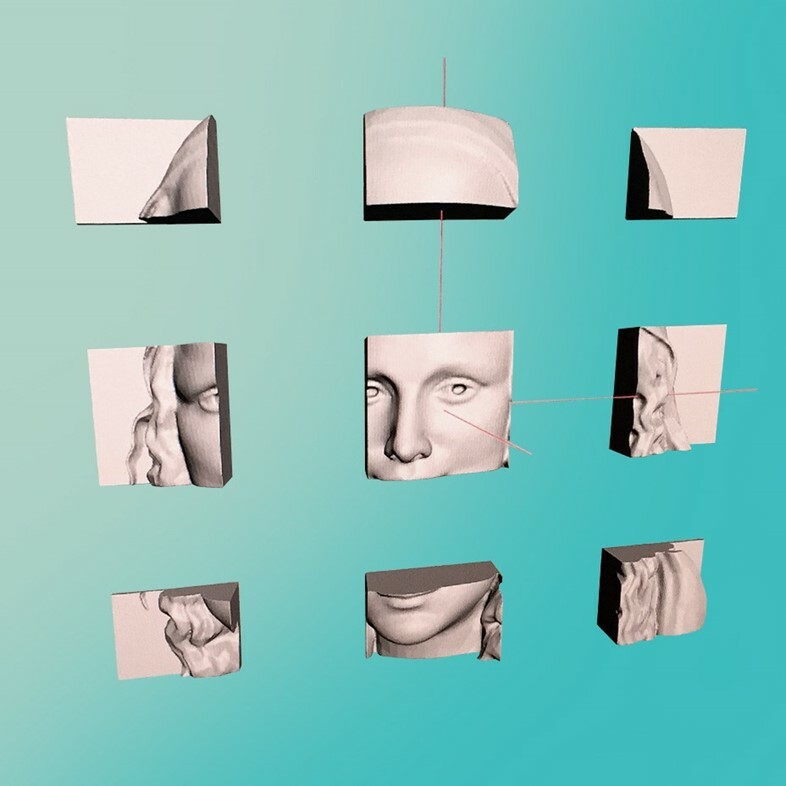 The artist starts with a high-resolution scan or photograph of the painting, and then creates an interpretation of the work using 3D tools running on their computer. The artist aims to create depth in the art to make it easier for the hands to feel. Some details may be brought forward, and some may be simplified to highlight an impression of the painting. Once 3D-printed, do artists have to do any finishing to the printing to make it feel smooth or have some other tactile feeling for the visually impaired or blind? Marc Dillon: A 3D printer can print in many different materials, metal, plastic, and a type of sand that produces an almost stone quality. The finish can be very smooth, can be rough, or can have different textures within the same piece. It can also be painted and treated with smooth or tactile surfaces. 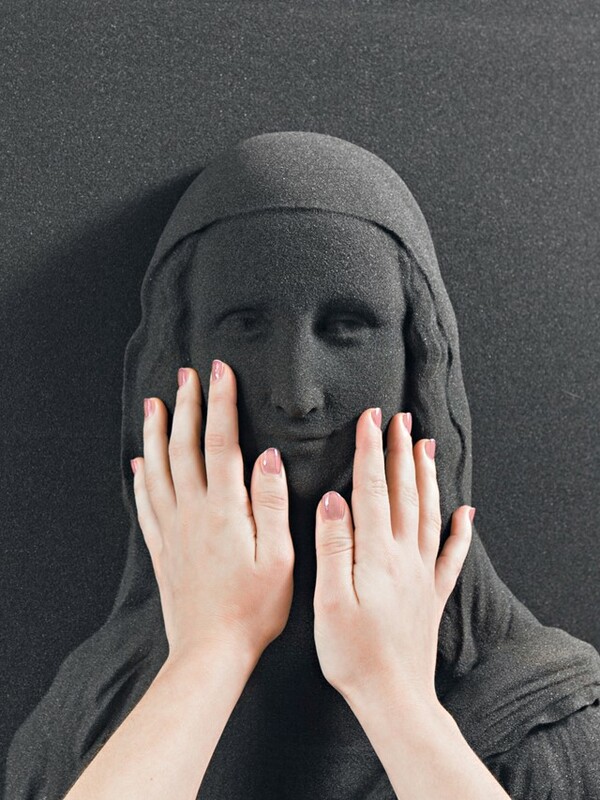 Which artists have contributed to Unseen Art so far, and which paintings have they 3D printed? Marc Dillon: Caroline Delen is the first contributor, a London artist who donated her time to produce Mona Lisa for the project. We are talking to other artists and will make more announcements soon. What's great is that you're printing classical artworks that are in the public domain, which means this is free for visually impaired or blind people. But have you also talked to contemporary artists to see if they'd be interested in doing this for their new works? Marc Dillon: We are excited to talk with other artists about creating works specifically for the project. As we raise awareness and fund the project, we have more opportunities to bring art from all eras and genres. What has been the response from visually impaired or blind who've experienced Unseen artworks? Marc Dillon: It’s been very exciting for the people to experience the art, some for the first time. We have also taken feedback on making sure there is an explanation available to work in conjunction with the artwork – the combination makes a greater impression than either part alone. For example, Mona Lisa has a slight smile that can be felt, but relaxed eyes without any wrinkles is part of the enigma that people have talked about for 500 years. How big do you want Unseen Art to be, and how do you envision the visually impaired and blind experiencing art in both the near and distant futures? Marc Dillon: We are actively talking to and looking for a curator for the first exhibition, in order to select the initial pieces with our art panel and insure the quality and coherency of the collection. We hope that by making the pieces freely available the first exhibition they will then be used all over the world to let people touch the artworks. We also believe that raising awareness will allow the project to grow and have more people globally be able to access and create their born impressions of art.